In my previous article I covered the new HD Reverbs that were introduced in Motif XF OS Version 1.5. In this next installment I will cover the new guitar effects, which to me genuinely enhance the already superb amplifier simulation, distortion and overdrive effects in the Motif XF. 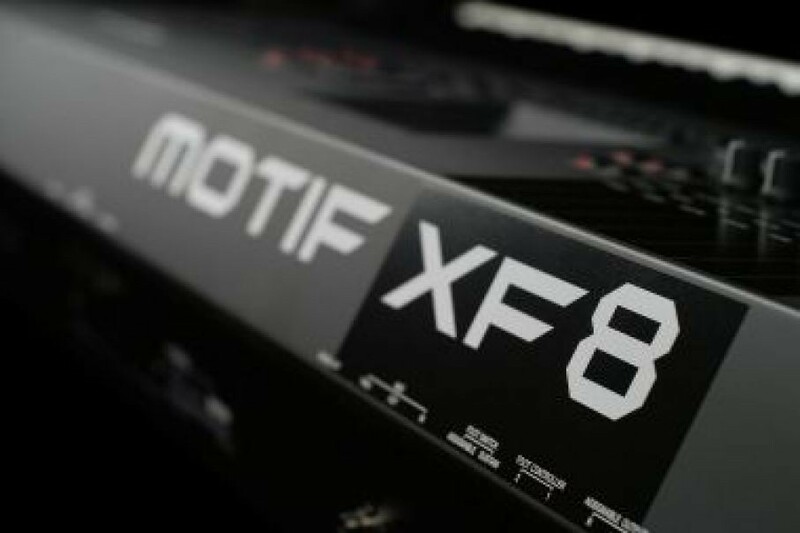 In this article I will briefly describe each amplifier type, how to utilize these effects with the Motif XF guitar and keyboard sounds, and I’ll again include some musical demonstrations of each of these effects and compare them to the existing effects. There are 16 voices that utilize the new reverbs, 16 voices that feature the new guitar effects and 8 performances that include these new voices and are actually based on existing voices in the Motif XF. The new ones have an asterisk (*) next to the name to indentify them as voices that use the new effects. They are great on their own and they can give you a place to start when creating your own voices. Let’s take a look at each of these effects. The US Combo effect is described in the OS 1.5 supplementary manual (the document that comes with the download package for Version 1.5) as “a simulation of an American combo amp”. The amp that it simulates is made by an American company that might rhyme with “Blender” and the sound is very emblematic of classic rock, blues and country music in the 1960s and beyond. These combo amps are still in use and the classic versions are highly sought after. Take a look at some of the parameters you can edit in the screen shot below, especially on the right side, where you can change the speaker type, the speaker “air” parameter that simulates the airflow around a moving speaker, and the mic position (“edge” or off-axis or “center” or on-axis). The Jazz Combo effect is described in the supplementary manual as “a simulation of a famous combo amp” and the amp it simulates is made by a Japanese manufacturer that named this amp “JC” for “Jazz Chorus”. This amp was really popular in the 80s with many different op groups and is still used in both popular music and jazz. It has a very clean yet powerful sound that is instantly recognizable and the simulation in Version 1.5 is amazingly spot-on. The chorus parameter can be switched from a chorus effect to a tremolo effect for a more vintage sound. The US High gain is described as “a simulation of a famous American high gain amp” and it does a great job of of simulating an American-made, boutique high gain amplifier. This amplifier has a signature, high input gain/big distortion sound is the signature amplifier of many guitar heros out there. A famous British amplifier effect described as “a simulation of a famous British stack amp”. The description alone might give it away…in fact, a simple Internet search with “famous British stack amplifier” yields some telltale results. This effect is huge and is great for creating some great heavy metal sounds and is really effective as a lead sound, especially in conjunction with a delay effect. This effect, described as “as simulation of multiple effect devices for guitar sounds” is similar to a guitar player who likes to use a series of rack mount effects. Lots of progressive rock and pop bands have guitarists who use multiple effects to arrive at their sound and this single effect block contains several of different effects like distortion, delay, chorus, wah-wah, and compression. I particularly love to use this effect for cool guitar pad effects, but it is great for big distorted lead sounds as well. The speaker type parameter in this effect block as well as the next one (Small Stereo) is different than the others as well: There are 12 different type available for this effect and each has a different tonal color (Stack, Twin, Tweed. Oldies, Modern, Mean, Soft, Small, Dip1, Dip2, Metal, and Light). “A simulation of a famous British combo amp”, this effect is a spot-on simulation of the amplifier sound of some legendary British super groups of the 60s. This effect features some really nice, highly detailed clean amplifier sounds and is great for both classic rock, alternative rock and country. Similar to the British combo, the British Legend is another version of a famous british amplifier used in the 60s and 70s. This one has a bit more grunge to it than the British Combo and I find it effective in modern blues, British hard rock music, Seattle sound grunge, etc. USHighG150: This is a single voice example based on the voice "CrunchyGuitar*" from the voice pack I described above. I edited the voice to demonstrate the US High Gain effect introduced in OS1.5. I love how mean this effect sounds! MFX 150: This is another single voice demonstration of the guitar based on the "1 coil Amped Vel*" voice based on the from the voice pack. It demonstrates the Mutli Efx effect, a single effect that has wah, distortion, phaser and delay simultaneously. This is a really nice, deep effect. WurlPno150: This is a single voice example played twice using the voice "WurliDistortionAS1" followed by "WurliDistortion AS1*" (the asterisk denoting the new voice). The first time you will hear the orginal effect and the second you will hear the new amplifer effect from OS 1.5 (Jazz Combo). They defininitely sound different from each other! Clav 150: This is another single voice example played twice using the voice "Clavi Amped" followed by "Clavi Amped*" Again, the two effects sound quite different with the first time using the original voice and the second using the new amplifer effect from version 1.50 (US Combo). AltRockGtr: Another single voice example played twice using the voice "AlternativeRocker" followed by "AlternativeRocker*". These effects really sound good to me. They are very expressive, organic and thick and sit very nicely in a mix. Take some time to experiement with them: I'm certain you will find them very useful in your music!